If your aesthetic is nothing short of sleek shine and clean lines, you’ve found your dream piece! Designed by Guillermo Gonzalez, the Ann Coffee Table by Modloft offers one sharp and sophisticated silhouette that makes a statement in spaces both small and large, domestic or professional. 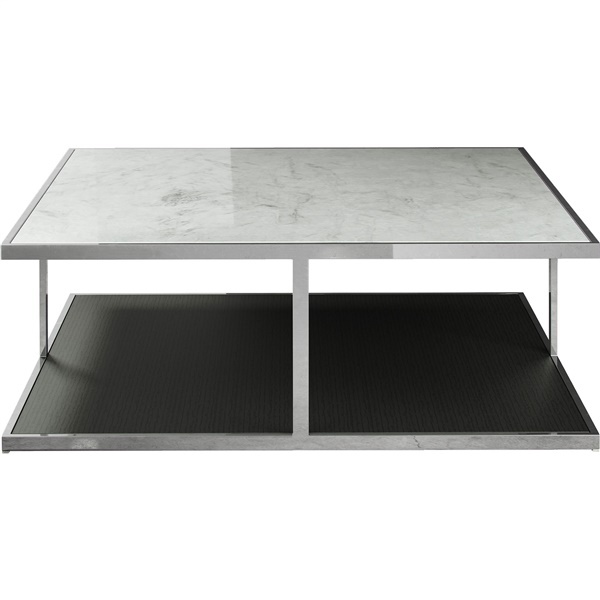 Carefully (and “squarefully”) crafted of a durable wood base in a rich wenge finish, and sturdy steel polished to a gorgeous gleam, the Ann Coffee Table is topped with fresh white Italian marble for a look that is both contemporary and classic. Clean-lined, geometric shape for homes and businesses both classic and contemporary. 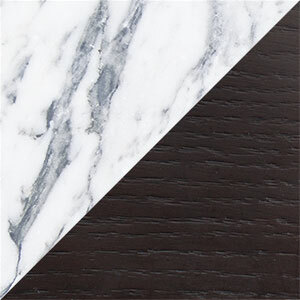 Dark wenge finish complements white marble surface for graphic style. Durable wood base provides extra storage. Sturdy frame of high-polished steel. Surface of luxurious Italian marble in crisp, clean white.